Today, we discuss how to create stronger websites and rank higher with fewer links using your own website as a pivotal dynamo for on page SEO. There is a distinct correlation between seed keywords, site structure and rankings. 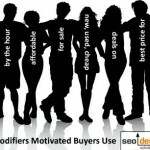 For those who omit these critical connections are inadvertently creating more work than reward for their long-term SEO efforts. One example of an optimal on page structure involves using the internal links to channel relevance for the preferred ranking from the anchor text in tandem with selective deep links and minimal outbound links per page. By capping the number of links on a page two things occur (1) every link on the page becomes more valuable for SEO purposes (2) there is less noise diffusing the theme of the page. This alone used in tandem with selective off page link building and diversifying the inbound link anchor text, IP range (different sites from multiple websites on their own IP block), proper on page optimization such as theming and siloing allowed to age over a 90 time period can move a website from obscurity (not in the top 1000 results) to page 1 if managed and augmented properly. Keep in mind that since search engines rank pages and not websites, if your internal pages have a high percentage of duplicate content (excessive navigation, secondary links, etc.) this often translates as noise and can obstruct the focal point of what that page is about. This theme diffusion results in a search engine scoring your page lower or the less important overlapping regions virtually overtake the preferred point of topical interest. So, make sure that you select a primary “exact match” purpose for your page, mirror that in the first instance of the meta title, and then braid your secondary keywords into the meta description, the meta tags and the on page content. If you then mirror those metrics again when you start building links to that page, that page will take on the collective range of aggregate ranking factors and consolidate them and echo back those characteristics in the search results. For example, for every 10 links built, use 6 as the primary keyword and 4 are alternative modifiers and combinations. Over time, this will create keyword stemming and your page can rank for a broader array of keywords with less effort as a result of the citation. For example, let’s create a hypothetical scenario for the sake of elaboration. Let’s assume I have already identified the primary keyword cluster that my target audience uses and have created my primary landing page in my website, I have kept the outbound links to other pages minimal and optimal and I want search engines to rank my page, now what? 1. Make sure the primary keyword is in the Title, H1 Tag and that the keyword is on the page in the first 25 words, used again in the middle of the page and at the end of the page (or some close semantic cousin, modifier or plural version of the primary keyword). 2. That at least 5 pages are internally linking to that page with the preferred anchor text the page is trying to rank for. 3. That those pages are strong enough to pass themed link flow to the target page (meaning they are not orphaned pages or lackluster pages with zero authority, inbound links or pagerank). 4. Get a few strong one way links to that page (deep links) since the page is not the homepage, inbound links are linking deeper into the site architecture and called (deep links). 5. Scale the deep links, their anchor text and the frequency depending on thresholds established by competition for those primary keywords (yet if you optimize a cluster vs. one keyword, you will conquer multiple phrases why most SEO’s or others only see movement for one or a few keywords). But which of these factors mentioned above are packing the most ranking factor? Would you believe that one of the best kept SEO techniques is to have minimal outbound links on the internal pages linking to each other with the preferred anchor text? Most would assume links from other websites (which is a natural assumption). Deep links or inbound links from other websites only have temporal effect and are subject to vacillations due to how those pages are scored by search engines. We know that Google can use more than one algorithm to rank a page or website, depending on multiple scenarios and circumstances. Therefore, the less dependency you place on such a volatile metric, the better. I’m not suggesting that links from other websites are not important, but the quality of the link, the noise or relevance of the signal, the amount of inbound links that page has, where it sits in a sites’ architecture and if the page has trust (and is ranking for something similar) or it’s just a less authoritative page nested deep in a site – makes a big difference. Quality trumps quantity for building links, but that has greater impact if the primary landing page is themed, receives link-flow from other themed internal pages and the page itself does not squander the link equity pooling within that page. If the preferred landing page is fed properly from other pages with Pagerank or link flow, as those pages age and the site architecture feeds them, they in turn act as pivotal spokes in the website and collectively rank each other. 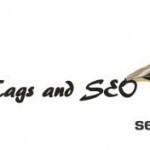 The real objective of SEO is not to just think of rankings as competing pages, competitors or links, but the scaling factor for developing an internal page rank juggernaut and series or strong internal hub pages that you can point to new pages or consolidate at will to provide targeted rankings for multiple SEO endeavors. 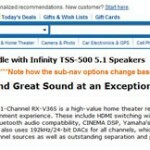 Nothing trumps a strong link from an authority site. 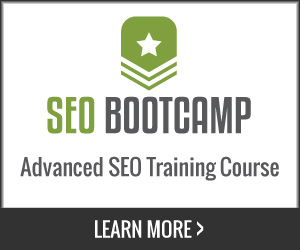 The secret is that authority site can be your own linking to itself! Depending on your keyword or keywords targeted, you will require supporting child pages to feed the parent theme/landing page, but the stronger those child pages are the more link flow and rankings they can push up the silo and devour multiple keyword variations along the way. The idea of think before you link is more about sculpting the proper on page metrics and not squandering internal links. All relevant pages in the primary site architecture should be mapped and streamlined to rank 10 other critical pages, and those 5 other critical pages and so on. By creating rank ordered themed semantic pages (which all have a primary focal point and are designed to rank for 1-6 keywords per page) means that under this scenario, those pages have the exponential ability to augment each other selectively (just from mapping the on page / outbound links) and their respective anchor text that braids them all together. When you need to augment a specific ranking for a keyword, you can either develop qualified links to the main theme / landing page (category) or deep link with one of the phrases from the semantic cluster to provide more buoyancy for the preferred ranking. However in my experience, using collective layers from the site architecture and internal links with those pages gaining more authority naturally over time is the best kept secret for toppling even the most competitive keywords or crushing even the most adept competitor. For more information on how to find semantically aligned keywords, determine their relationship and profitability to the bottom line, check out Domain Web Studio 2.0 a suite of powerful SEO tools designed for professionals to quickly assess, implement and optimize market and keyword research, website silo site architecture, content creation and project management all from one suite. Everything we discussed above can be executed flawlessly within DWS using The Krakken and The Last Keyword Tool to identify profitable markets, keywords and online opportunities. Make sure to check back for updates as we plan to cover more on the topic of advanced SEO in the next few days and share techniques and tools we use to dominate markets day in and out. 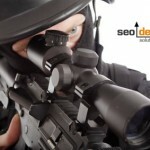 There is No SEO Magic Bullet! 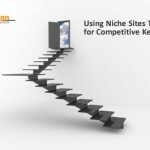 Niche Sites and SEO, Do They Still Work? Thank you!!! 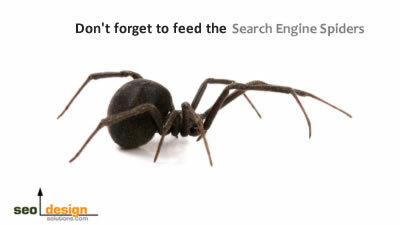 This is what I am looking for because i am working as a SEO. Very nice!!! 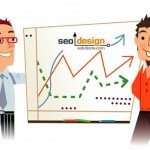 It has been shown in your post that you have very deep and perfect knowledge of ethical SEO . I am very impressed with your post. Keep up the good work. Fewer Link this is one of best method to get ranking for main keywords.. Using the above techniques, one could get the maximum result to make stronger webpage and website.